On Sunday, there will be a need for an unexpected family conversation that will concern your future costs, most likely in the new week. There will also be financial news that will make you happy today. On Sunday, many will talk and consider health-related actions for a man from the family. This will be an unfavorable day of work, where misunderstandings, attempts at deception and other negative provocations will easily arise. Today the women will need to keep their personal documents safe, including information in their personal phone or computer. Those born under the sign of Aries, Leo or Sagittarius will face an attempt at deception, manipulation, or insincerity in your romantic or family relationships. The atmosphere in the home can be tense, especially if you live with more people under one roof. Today you will make an important decision, but it will be the result of your emotions and will not last long. If you were born under the sign of Taurus, Virgo or Capricorn, today you will enjoy a successful work at home or in a property you own. On Sunday you will receive news about an important event in a relative’s life. Today you will easily will communicate with unknown people, which will bring you useful information or knowledge. If you were born under the sign of Gemini, Libra or Aquarius, today you will have an interesting day. Many will remember this day with strange dreams or premonitions. People you will be contacting today will be important for the development of your plans for the next week. 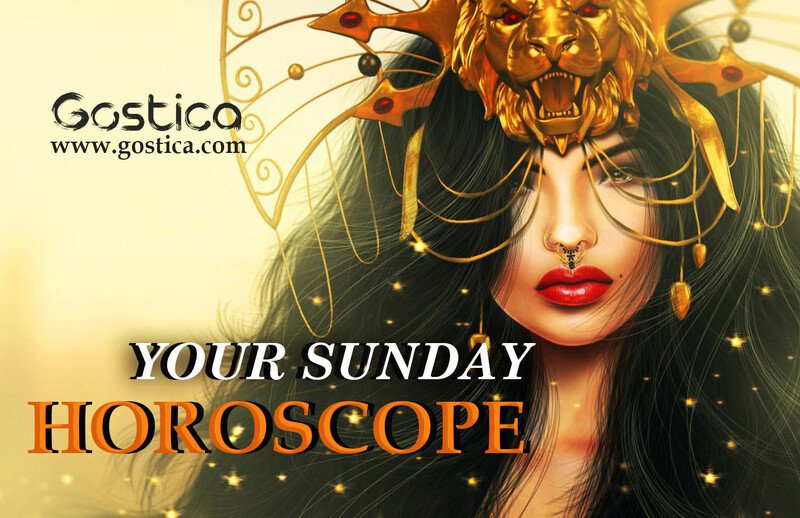 If you were born under the sign of Cancer, Scorpio or Pisces, on Sunday you will be excited about some news and you will be willing to spend most of the day in phone conversations to share them. This will be a good day for traveling, for outings in the nature and for any kind of communication with people from other settlements. On Sundays, avoid gossip or complacency due to mistakes or unpleasant events in the lives of people in your family or friends. Today, you do not necessarily have to make the same decisions as you had in mind before. If you have not done so up to now. In fact, it means that you were not sure. If you have thought harder and come to diametrically opposed conclusions, no one will be able to hold anything against you, precisely because you have not chosen before. Everyone’s timetables must be respected. Try to be more farsighted from the emotional point of view. Try not to disturb your partner, your children or your friends on this day. A period is approaching in which you will need all of them. Move them away at this time on a whim because you have not been adored enough, covered with kisses or phone calls. It could be the drop that will overflow the pot! Head for something frivolous in a day. You owe it to yourself. Give yourself time just for yourself, to dream, to set up your home, go shopping, go to the hairdresser, in short, whatever you want. You don’t always have to be at the disposal of others, it is also right that, every now and then, they understand what your value in their lives is and how much you strive to be perfect and present for them! Sport is not your forte, you use it mostly as an outlet valve. On this day, it’s just what you need. You are not particularly angry with the world, but it is always better to prevent any accident! You’re like a bomb that goes off suddenly, so you’ll have to prevent your trigger from being available to others. If you devote yourself to relieving your tensions, you will certainly avoid any unsolicited explosions. Try to express your opinions. Do it with determination though, not with acceptance. You can’t accept the ideas of others if they don’t fit in at all with what you’re going to do. In short, don’t be good people. For the sake of justice, you must intervene, try to give your own version, without harassing those in front of you. With determination, you will be able to make your contribution to the world! On this day you will find difficulties of a social nature, i.e. in interacting with people you do not know. You are probably frightened by the news that is changing in your life. The important thing is to always choose the way of kindness, so as not to create discomfort or misunderstandings between you and new people. You will see that everything will be fine if you maintain the same attitude with everyone.